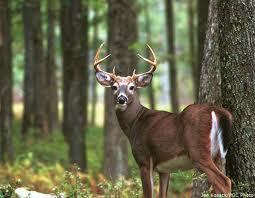 Deer season is fast approaching and Argyle Feed Store has the feed you need for your deer. We carry a large selection of Purina wildlife and feeds including Deer Chow and a number AntlerMax feeds. We have a full selection of feeds so that we can help you design a proper feeding program for your deer, because it is likely that the habitat does not provide your deer all the nutrition that it needs. Argyle Feed Store has a number of AntlerMax deer feeds for breeding, energy supplements, conditioning, and protein feeds. If you would like more information on the deer feeds that are offered at Argyle Feed Store, including a full nutritional profile on each deer feed, then please click here to view our selection of deer feeds. Here at Argyle Feed Store, we are committed to making sure you find exactly what you are looking for. If you have any questions about any of the deer feeds that we offer, then please click here to visit our contact page. We will be more than happy to answer any questions you may have.